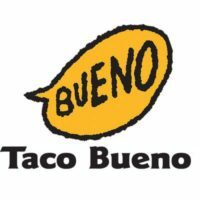 Taco Bueno was founded in 1967 by Bill R. Waugh in Abilene, Texas. Specializing in Tex-Mex, the business is well-known throughout the southern Midwest and parts of the southern United States. The company has gone through many changes over the years, and it is now owned by TPG Growth. You can find the Taco Bueno application link below. Now, the company has 176 restaurants in Arkansas, Colorado, Kansas, Louisiana, Missouri, New Mexico, Oklahoma and Texas, with most Texas locations concentrated to North Texas. The current company headquarters is in Farmers Branch, Texas, a suburb of Dallas. With more than 3,800 employees, the company offers many jobs to people in the areas it calls home. The restaurants serve many different Tex-Mex items in a fast-food style. Common menu items include tacos, burritos, nachos and Muchacos, which are pita bread tacos. Platters also bring enchiladas to the menu, as well. The company also serves soups, salads and desserts. The restaurants also serve breakfast, which includes a breakfast platter and breakfast quesadillas. The business is unique in the fact that it also owns a food truck called TaGo Bueno that provides food for hungry customers in the Dallas/Fort Worth area of Texas. The truck can be found through social media accounts like Facebook and Twitter. The food truck is also used at events and for charity events. The company may plan to start more trucks in other areas, as well. Taco Bueno careers can range from corporate positions to entry-level careers. Corporate job opportunities include positions in marketing, purchasing, supply chain, finance, accounting and legal. These positions may require someone who lives near or is willing to move to Farmers Branch, Texas, which is where the company headquarters is located. Restaurant level Taco Bueno jobs can either be managerial or entry-level. Entry-level positions include cashier and cook. Entry-level Taco Bueno careers are typically part-time and are paid hourly. Managerial career options include assistant manager and restaurant manager. The managerial positions may be either part- or full-time positions that require some previous leadership experience. How old do you have to be to work at Taco Bueno? You must be at least 17 years old to start working Taco Bueno jobs. From Sunday through Thursday, restaurants are open from 10 a.m. to 11 p.m. On Friday and Saturday, restaurants are open from 10 a.m. to midnight. Like many other employment opportunities, jobs with Taco Bueno come with a number of different benefits. Employees will receive discounts on food. Eligible associates will also gain access to healthcare coverage options and 401(k) retirement plan options. Other benefits include tuition reimbursement and paid vacation after working with the company for six months. Cashier – Responsibilities of a cashier include greeting customers as they enter the restaurants and helping customers place orders. Cashiers need to know a lot about the menu, including promotions and specials. These employees will help in the drive-thru and with cleaning the kitchen and dining area. Pay starts at minimum wage with the possibility for raises and promotions. Manager – Managers have a number of different duties, including interviewing and training new associates. These associates need to be comfortable delegating tasks to other employees and working with customers. Other tasks include dealing with payroll issues and creating work schedules. Managers generally make a salary between $32,000 and $50,000 per year. Assistant Manager – Assistant managers are responsible for helping managers keep the restaurants running smoothly and efficiently. Other duties include filling in when the manager or other employees are absent from work. Assistant managers need to be comfortable working in all positions in the restaurant. If this sounds like the job for you, fill out a Taco Bueno application today. Cook – As a cook, applicants will need to be comfortable working near restaurant level appliances. Cooks prep supplies throughout the day, so customers don’t have to wait a long time to get their food. Other duties include washing dishes and making sure food is kept in accordance to food safety specifications. Typical wages for this position start at minimum wage. Can you tell me a little about yourself? Interviewers need to get to know as much about each applicant as they can in a short amount of time. This question will allow you to share both personal and professional information with the interviewer. Why do you think you would be a good fit for this position? Tell the interviewer about the qualities and skills you have that will make you a great employee for the position you want. If you have previous work experience that will help you, you should tell the hiring manager about that, as well. What is your biggest strength and weakness? You should know what things you are great at and what you need to work on. Be honest with your answer. You will also want to tell the interviewer how your strength will help you with the job and how you can overcome your weakness. Where do you see yourself in five years? Employers like to know that the people they are hiring have goals and the drive it takes to meet them. It doesn’t really matter what you want to do in the future, but it does matter that you have an answer. Do you have previous experience in the restaurant industry? Not all jobs with this company will require previous work experience, but some will. Regardless, having past industry experience can do nothing but help you land a job, so tell the interviewer about all relevant experience. If you wish to apply for jobs at Taco Bueno, you should know your options. You can find a printable application for Taco Bueno on the company website. Go to the company website and select download application form. After filling out the application form, you can turn it into a printable application form. Afterwards, you can either fax it in or go to a local restaurant to turn it in. If you want to bypass all that, you can just go to a restaurant and request a free application. The website doesn’t have a place where you can browse Taco Bueno jobs online, so you will want to make sure there are open positions where you want to work. You can also ask about a job description to learn more about the position. Since there is no way to apply online, you can’t fill out a Taco Bueno job application online. The website will however tell you how to apply for Taco Bueno online with the printable application. Again, since there is no online application, you will want to make sure that this direct application is legible. You may consider typing in the form before handing it in. When you hand in your application, you will want to include a copy of your resume that outlines your previous work experience. If you really want to impress the hiring manager, you can also write up a cover letter and hand that in, as well. You will hear back from the company once all the applications are reviewed.